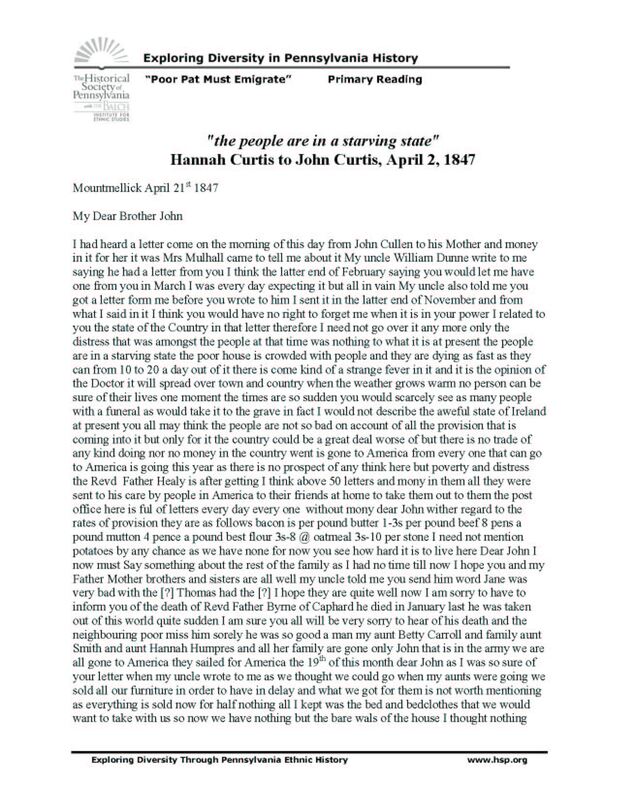 Hannah writes to her brother John who has emigrated from Ireland to Philadelphia. In the letter Hannah shares the fear of impending famine that racks the whole of Ireland. The letter also discusses relationships within the Curtis family and the difficulty of correspondence between family members.